One of the scariest things can be simply getting used to hearing your own voice onstage. "A lot of people put themselves in a box. They say, 'I'm just a dancer,' " says Lane Napper, an acting and dialogue coach who teaches at Broadway Dance Center and has worked extensively in television. He often has his dancers practice standing up and talking about themselves for 30 seconds in front of the group. 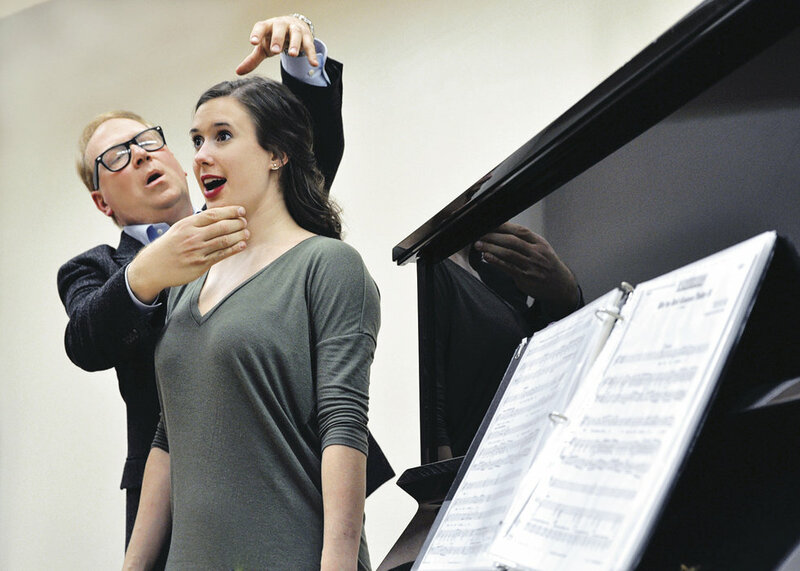 Stephen Purdy, a vocal coach in NYC who works frequently with musical theater dancers, finds that low self-confidence is also one of the biggest hurdles dancers face with singing. Getting more comfortable comes down to practice—especially practicing in front of other people as much as you can. "Every time someone will take two minutes and listen to you do the song, get up in front of them and do it," Purdy says. 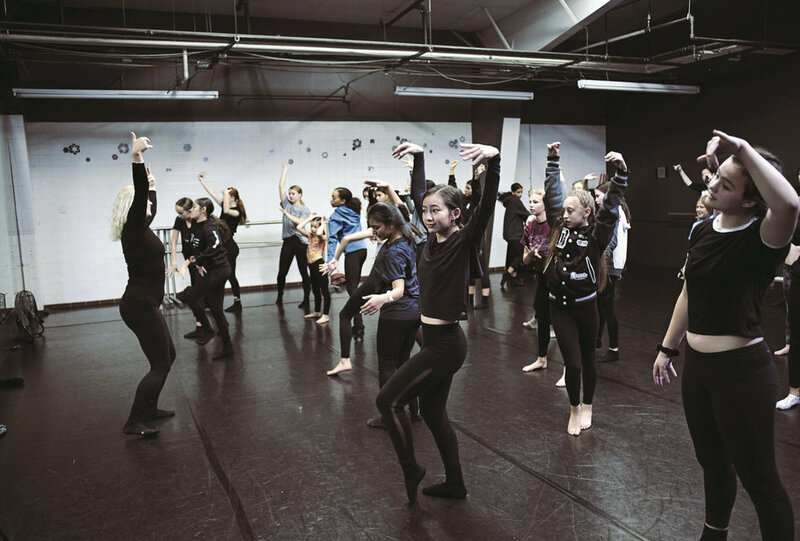 Jan Horvath, a former Broadway performer who teaches at Steps on Broadway, also encourages dancers to think of singing as just another way of speaking, to make it less intimidating. "If you can talk, you can sing," she says. "We're always talking on pitches, but we get to choose the pitches and the rhythm, and when we breathe. When you sing a song, somebody else has made all of those decisions for you." You're used to nailing choreography quickly, but storytelling is also key when it comes to playing a character. "I always tell dancers, 'You're the paint that's on the choreographer's canvas. You've got to be able to convey a colorful story,' " says Napper. "That's how you book jobs. A lot of dancers can give the movement, but you need dancers who can tell the story." He suggests watching your favorite TV shows or musicals with a careful eye to observe how the actors stay in character constantly. "Look at the people who aren't talking," he says. "If there's a character who's talking, look at the person who's reacting." Sarah Brinson, co-founder of Acting for Dancers Workshop, which hosts workshops across the country, adds that dancers are often too focused on the movement—instead of the story or developing a character. "A beautiful thing about dance is it doesn't have to be linear," she says, "but something needs to be happening and you need to be discovering something throughout the whole piece. Figure out a way to find that beginning, middle, and end, and explore all the in-betweens." Developing a character and bringing your own experience to it is where you get to be creative with acting—but it can be daunting if you're not used to having that freedom. Sarah and her co-founder, J. Brinson, stress the importance of developing and taking ownership of your own artistic process. As dancers, "I think that we're so used to being told what to do," says Sarah. "In dance training everything is very specific, very right or wrong. That's the first hurdle—it's OK to play and to surprise yourself." In their workshops, students try different exercises to activate their imaginations, including freewriting, improv, or taking a walk in a place where their character might go. All that background work will find its way into your body later, helping you be more free onstage. "I love dancers because their bodies are so intelligent," J. says. "Dancers naturally have information in the body, and then it's just bringing it up to the mind to get that imagination on." When choosing an audition song, "I like to say, 'Never show them what you can't do,' " says Purdy. That means going for songs that highlight your strengths and reflect the types of shows you'll be auditioning for as a dancer. "Someone who is right for a show like An American in Paris wouldn't go in with the same material as someone whose strength is mainly hip hop," says Purdy. "If jazz is more your forte, then you'll want to have material from that stock of shows—older songs, from the 1930s and '40s." Horvath adds that you should choose songs you're excited to sing and that you can connect with personally. "I believe really firmly that you have to love the material you're working on," she says. "You've got to do the research yourself and find the songs that you like—not that the teacher likes. You have to be able to identify with it, and communicate whatever the emotion of it is." A version of this story appeared in the February 2019 issue of Dance Spirit with the title "Triple-Threat Training."